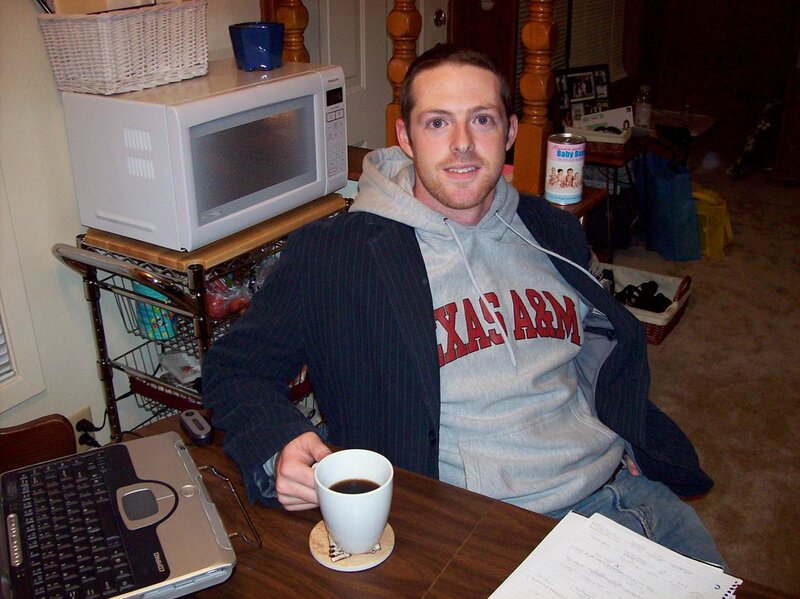 Alive and Young: No, but I did stay at a Norbertine Abby last night. No, but I did stay at a Norbertine Abby last night. My friends and I are usually very critical of the "Vision Vocation Guide" that is put out every year. Nearly every year after looking through it I think the same thing, "It is no wonder some of these religious orders are disappearing." With bad advertising, poor graphic design, and uninspiring photos what do you expect? However, this year, I think some of the religious orders are making progress. Here is one that caused me to laugh out loud when I saw it. It is the Norbertine Monks advertisement. 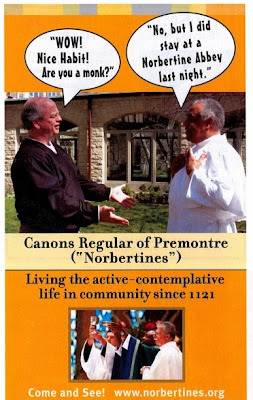 The Norbertine Monks are an active -- contemplative community since 1121. Monks with a sense of humor like this! Who wouldn't want to go and see?